I have been fishing here since I was knee high to a bull frog…we got those too. 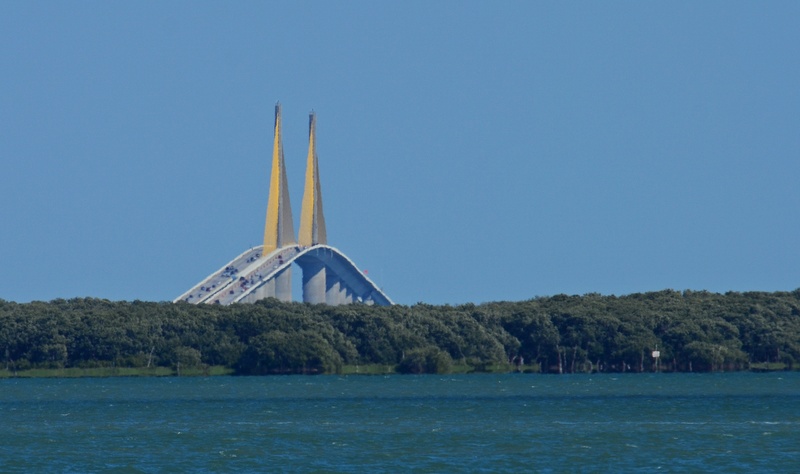 Dad taught me to fish at the Skyway Bridge in St Pete. Right here you catch sheep head, mullet, tarpon, you name it. The old bridge was knocked down by a ship in bad weather on terrible Friday morning. But that’s another story. Since then I’ve fished all over the state. From Key West and Clearwater to the mouth of the Suwannee river up by Cedar Key. Don’t worry, we’re going to take you there too.